Walker High's Bryce Wadenpfuhl returns a volley during the boys No. 1 during the match against Denham Springs on Wednesday, April 3. Denham Springs High's Claire Perkins returns a serve during the No. 2 doubles match against Walker High on Wednesday, April 3. Walker High's Brianna Jones was part of the Lady Cats' No. 1 doubles team along with Maddison Oakes that won 4-6, 6-0, 10-6. Denham Springs High's Justin Browning follows through on his serve during the No. 1 doubles match against Walker High on Wednesday, April 3. Walker High's Anna Hill returns a shot during the girls No. 2 singles match against Denham Springs High on Wednesday, April 3. Denham Springs High's Gage Smith returns a serve during the No. 1 singles match against Walker High on Wednesday, April 3. Walker High's Kamron Webb returns a shot during the No. 2 doubles match against Denham Springs on Wednesday, April 3. Denham Springs High's Ian Crawford follows throw after returning a volley during the No. 2 doubles match against Walker High on Wednesday, April 3. Walker High's Finley Westmoreland serves the ball into play during boys No. 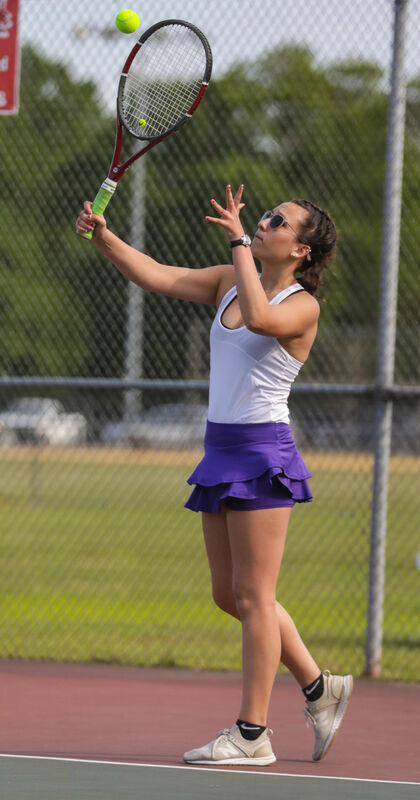 2 doubles match against Denham Springs High on Wednesday, April 3. Denham Springs High's Gage Smith serves during the No. 1 singles match against Walker High on Wednesday, April 3. Walker High's Olivia Durbin serves the ball during girls No. 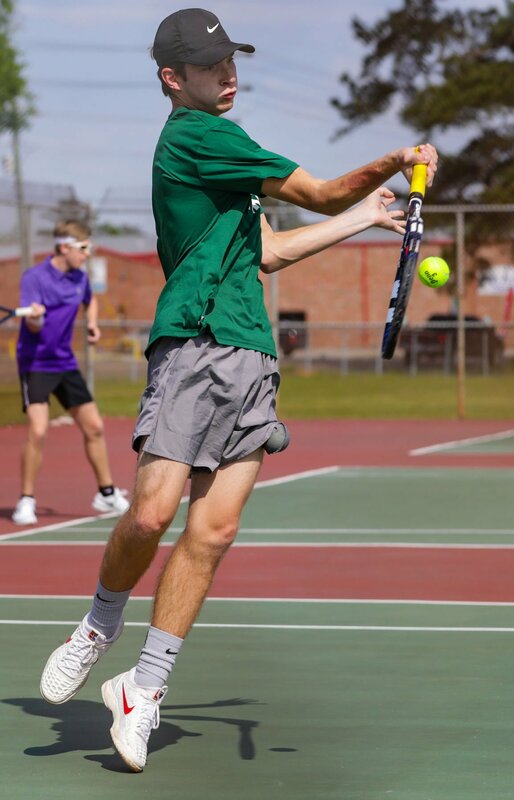 2 doubles match against Denham Springs High on Wednesday, April 3. Denham Springs High's Olivia O’Neal serves during the No. 1 doubles match against Walker High on Wednesday, April 3. Walker High's Parker Colona serves during his No. 1 doubles match against Denham Springs High on Wednesday, April 3. Denham Springs High's Morgan Sceroler serves during the No. 2 singles match against Walker High on Wednesday, April 3.